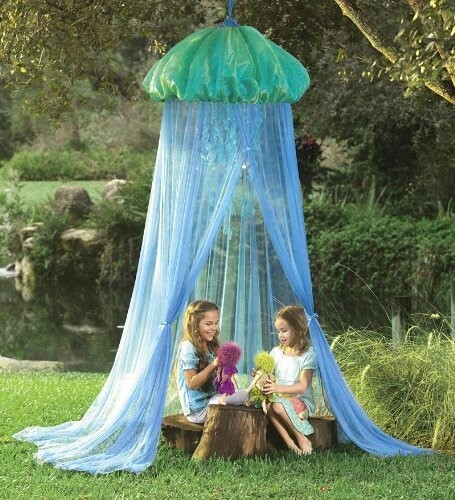 Children can venture into the magical and mysterious depths of the sea just by dreaming beneath this canopy. The marine green top resembles the bell of a jellyfish with layers of deep-sea-blue netting flowing from it. 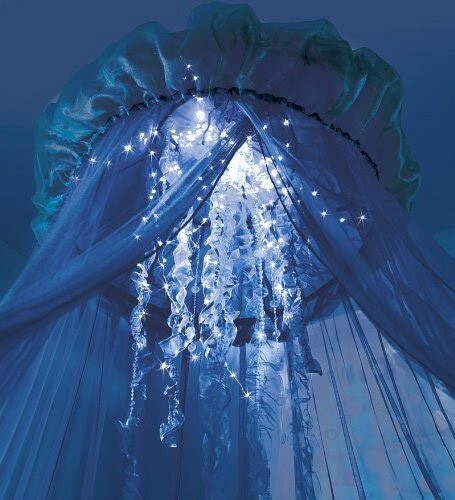 Inside are tentacle-like iridescent beads, blue ribbon tendrils, and sinuous translucent streamers entwined with small, sparkling sapphire LED lights (160, to be exact). Hang from a ceiling indoors or a tree limb outdoors. The hideaway Includes an AC adapter and may require some adult assembly. 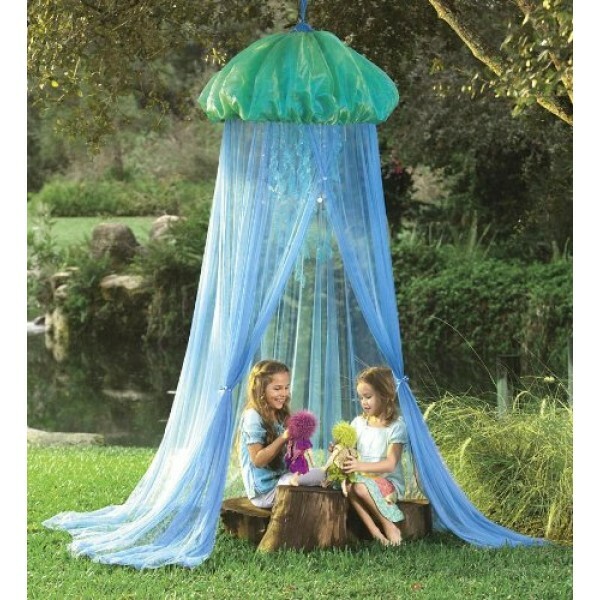 For more fun and inspiring tents, visit our Indoor Play Spaces Collection..